How about an Easter egg hunt with a difference this year? How about a hunt in the dark? 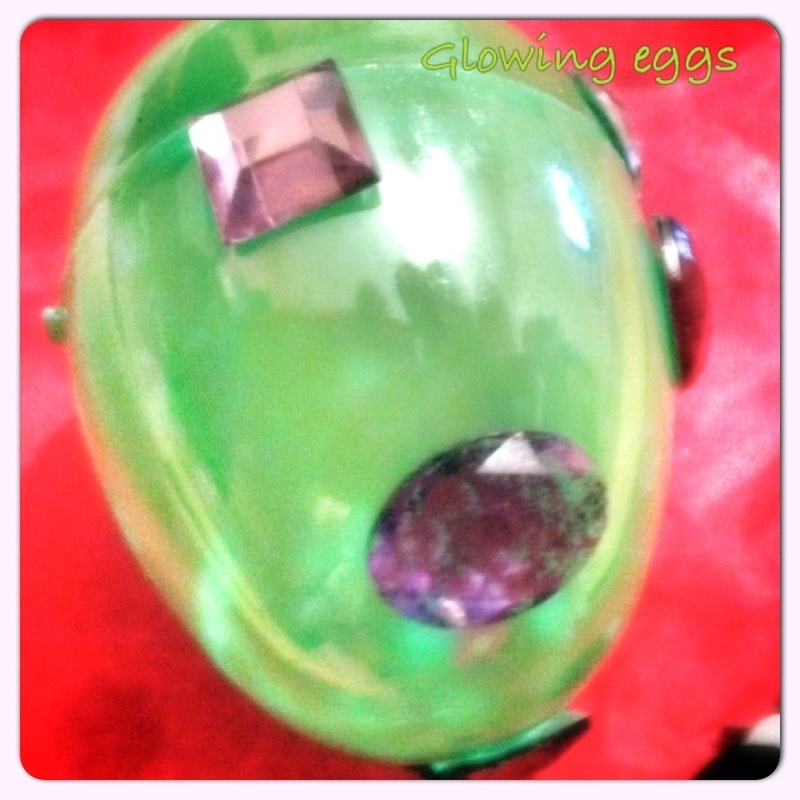 With some clear pearlescent plastic eggs and a tube of glue sticks, you can do just that. Important: Please Note, because the glow sticks need to be broken down this needs to be preformed by an adult. The eggs should be probably sealed to stop any leakage before children are able to participate in the decorating or hunting of these eggs. Step 1: You will need to open your plastic eggs (number dependent on how many your making) and seal the tiny holes at the top and bottom of the inner shell. I only had self adhesive sticky taps but these seemed to do the job well. 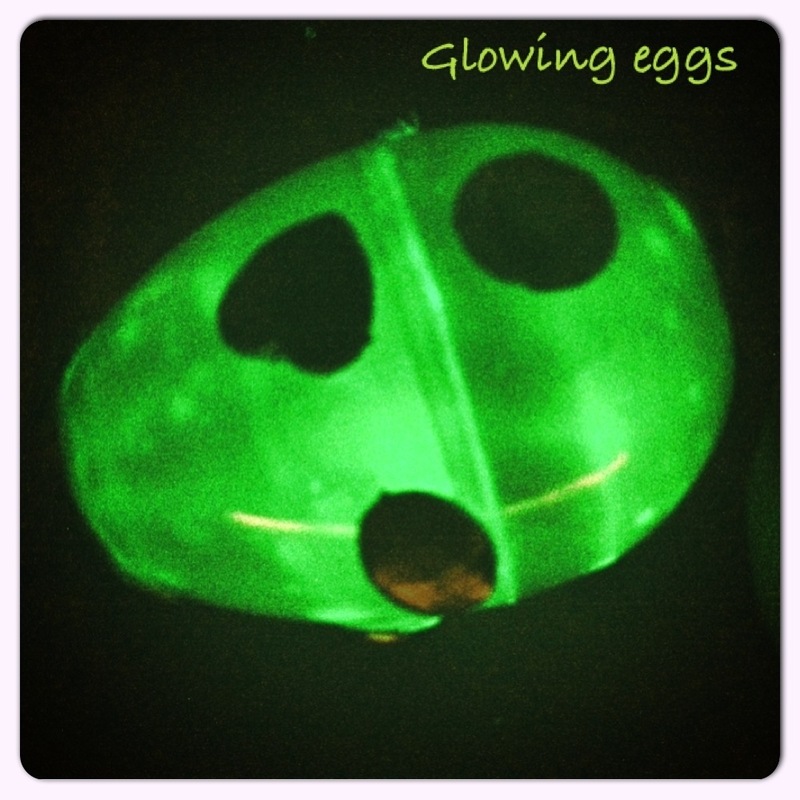 Step 2: I discovered how easily glow sticks are to break as I desperately tried to squash these down to size to allow them to fit within the shell of my eggs. Yes, it exploded and my entire bedroom and face were glowing a fluorescents pink. So instead I put on an Apron and some protective gloves. I also but on some protective eyewear… If you don’t have any then be sure to break these up behind some sort of barrier to protect eyes. 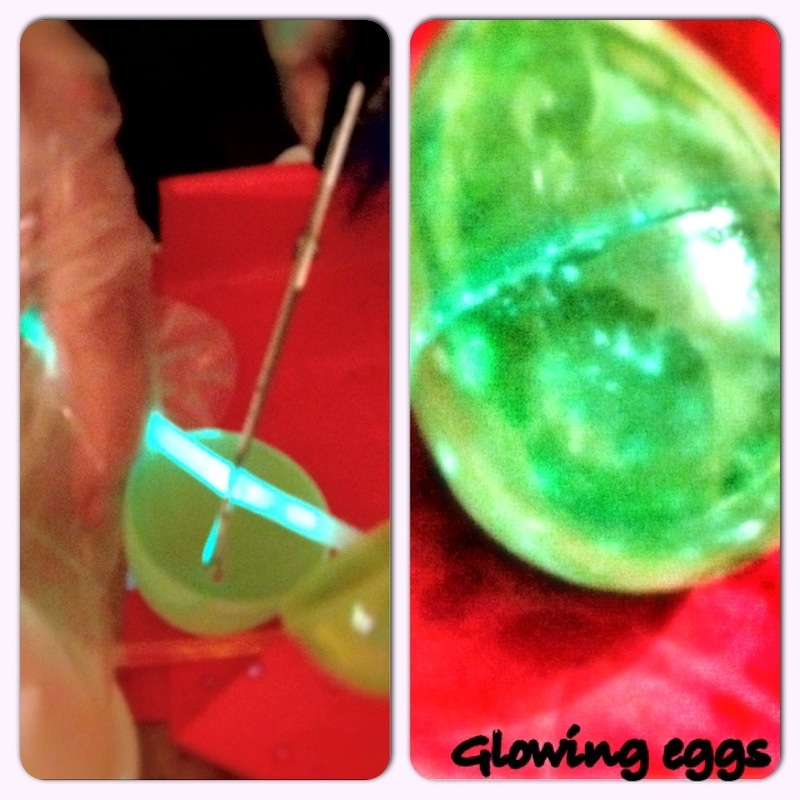 I then very quickly cut the glow sticks into small pieces and placed in the plastic egg. The holes are sealed and therefore no leakage should occur. Step 3: Use super glue around the the inner edge of the egg before closing it. Step 4: Wipe off any excess glue and then leave to dry. Step 5: leave for 30 minutes, then check your egg is probably sealed with no leakage or chance of it being prised open by little hands of any kind. 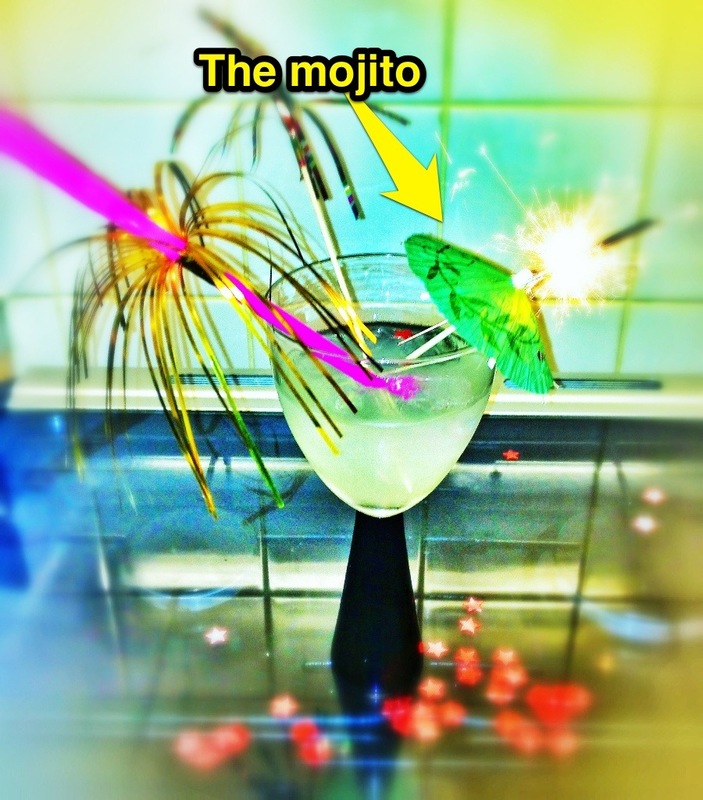 Step 6: Lastly, decorate as desired. 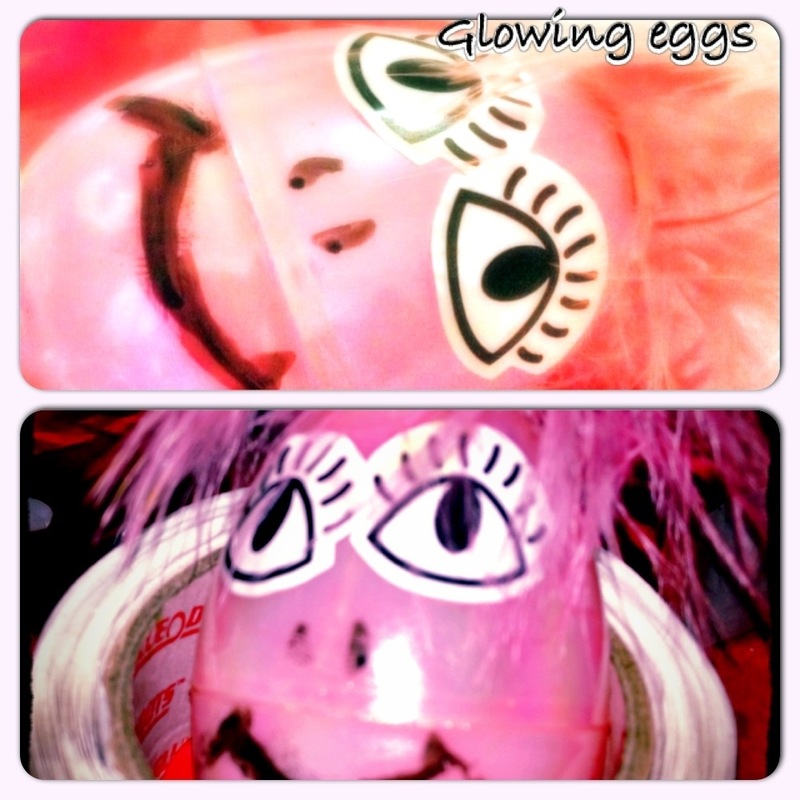 For our pink eggs we added some sticky eyes and feathered pink hair. We also used a black marker pen for the detailing. For the green egg we simply used self adhesive gems. The green egg was much brighter than that of the pink. 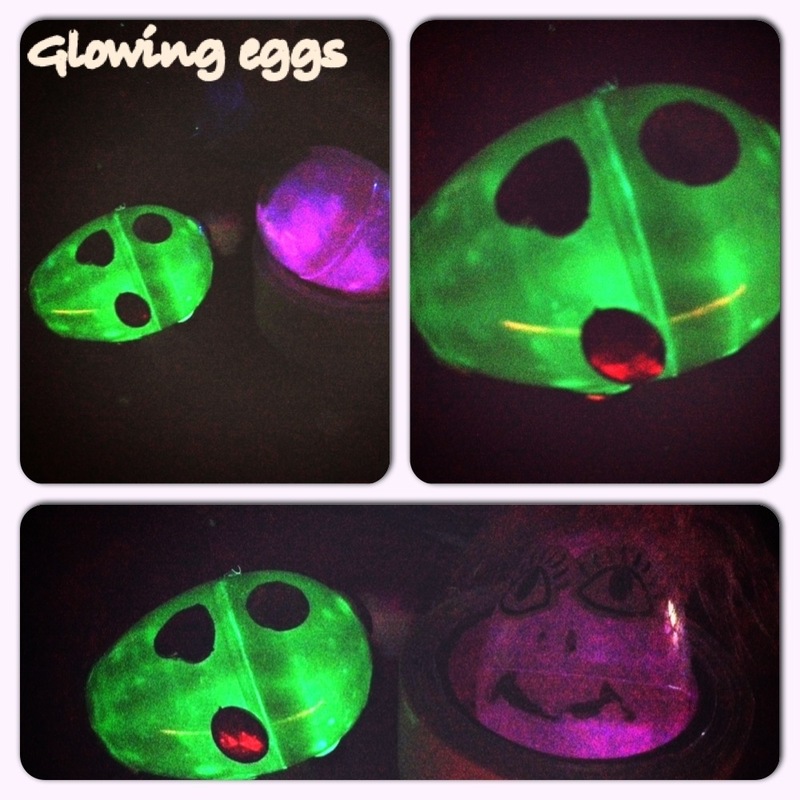 I’m gussing this is because it was my second attempt so I got more glow stick in the egg rather than my face. The pictures are not all that brilliant, I do apologise. I didn’t have my camera, just my iPhone and these were somewhat hard to capture in the dark. 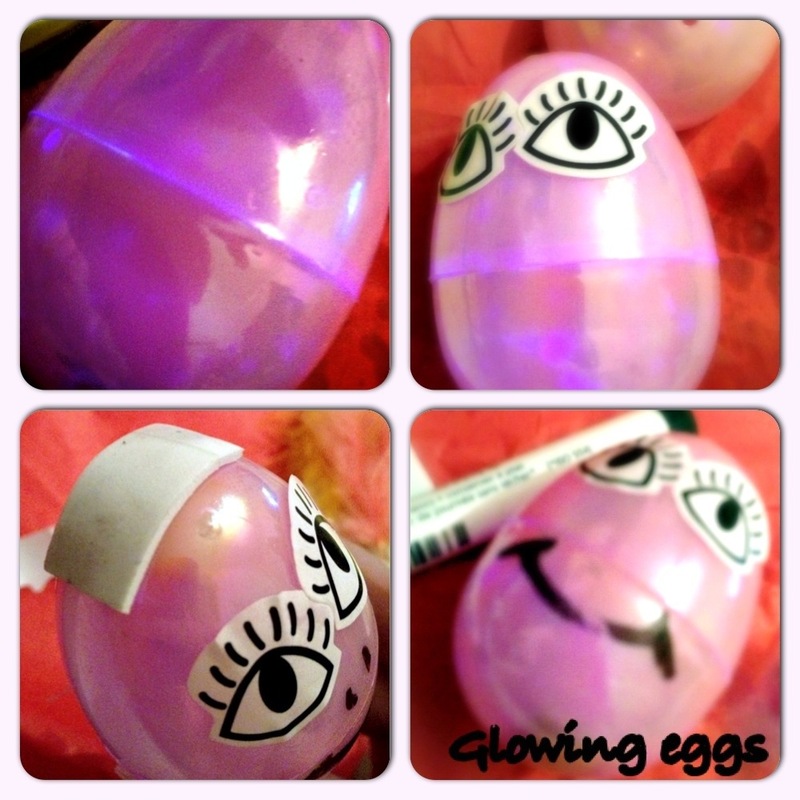 So there you have it… Glow stick eggs for a magical night time hunt. You don’t even need to decorate the eggs. Simply load them with glow sticks and then hide them. 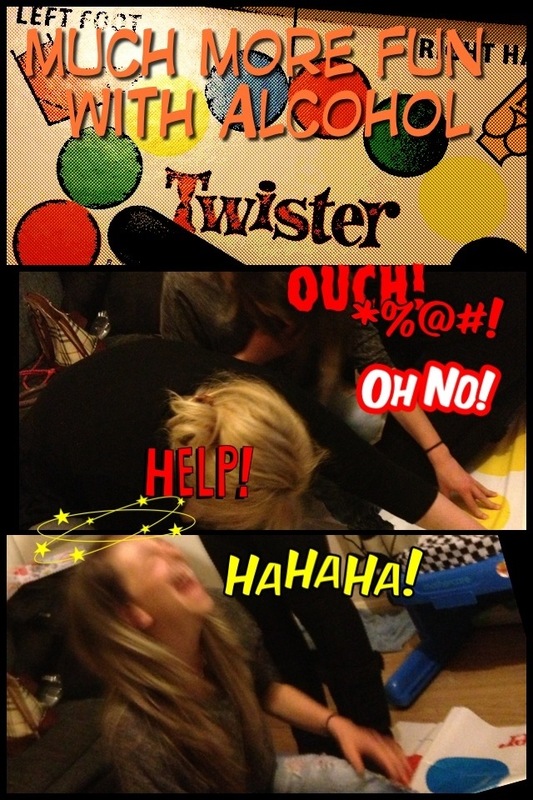 A really fun activity, however old you may be! 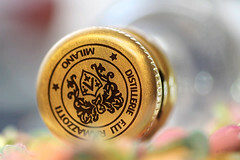 Disclaimer: I am not recommending the craft, I’m merely sharing it. It is up to yourselves to decided if this is a suitable activity for yourselves and your children to partake in. Staying in doesn’t have to be boring! It’s rare that I get my party head on, but a couple of weekends back I found myself doing just that. 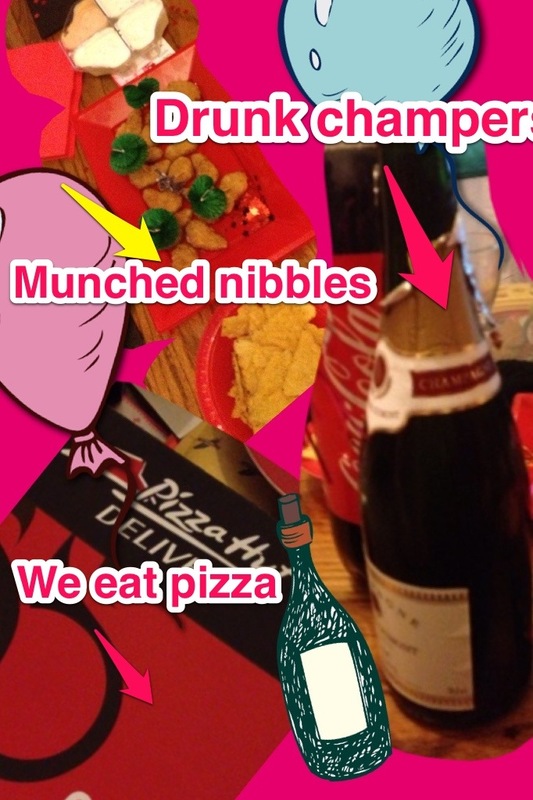 Ok… Ok I didn’t have some big arse night on the town but I did have some girls round, drink a few cocktails and glasses of champers, eat a little pizza and play a few party games. Actually it felt great to let go and have a little fun. The guys at Ladbrokes supplied me with a box of treats topped with items designed for a girls night in! 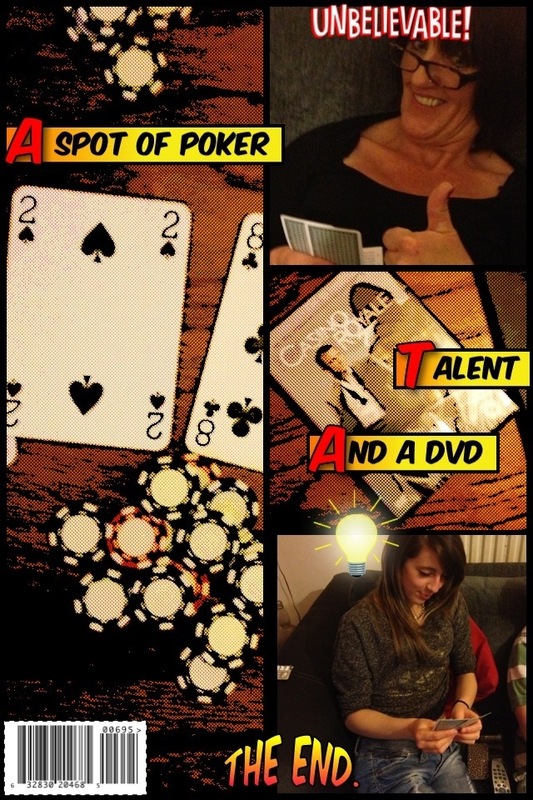 I grabbed my box headed over to my mums and called a few of the girls over for a Casino themed night in. Before the drinks started flowing I prepared finger food and experimented with the cocktails. See… Staying in doesn’t have to be boring 🙂 Thanks to Ladbrokes for supplying our box of party essentials.